THE LITTLE SHOW THAT COULD DOES IT AGAIN: SUPERNATURAL RENEWED FOR SEVENTH SEASON!! Speculation began early in 2011 about whether Supernatural would return for a seventh season. 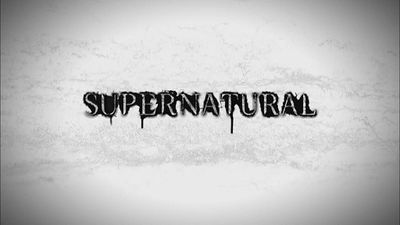 Media pundits like TV Online and TV by the Numbers, back Supernatural as likely to return although Entertainment Weekly marked it as "could go either way." The potential for a seventh season was sealed when Jared and Jensen confirmed at the Salute to Supernatural Vancouver 2010 convention in August 2010, that when they re-signed their contracts (they originally signed for 5 years) they signed on for 2 years, so they would be available for a seventh season if the CW picked up the show. The show's ratings in its new Friday night slot for season 6 were solid, as was critical reaction to the Show. In late 2010, an article on Airlock Alpha about the falling ratings for other sci-fi shows, the author mentioned that the CW was working to bring back Supernatural for a seventh season. The show has garnered even broader acclaim and attention in its sixth season, due in no small part to the efforts of fans who managed to get Supernatural on the cover of TV Guide TWICE in sixth months. Comments from CW Network head Dawn Ostroff, demonstrated that the season following the end of the five year story arc along with Sera Gamble taking the helm, had been positive in a creative sense. 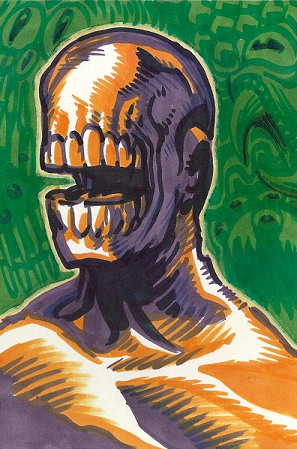 Leviathan office art by Ben Edlund. "We haven't officially picked anything up yet, but [Supernatural] is creatively doing so well—and it's doing better on Friday night than it was on Thursday night—so I can't imagine we won't pick it up." "Sera's done a fantastic job this year. She's done an excellent job creatively." "Our network team works with the Supernatural team very closely," says Ostroff, but the two sides have not yet engaged in any talks about a season-seven myth arc. "No, it's too far out. We haven't started talking about next year, but I'd be shocked if we didn't pick it up." The cast and crew were tight lipped in the early months of 2011: Jim Beaver tweeted: We haven't finished season 6 yet! If there's a 7th (& I have no reason to doubt it), it'll start filming in July. The tweet was picked up by a number of media sites, and Jim tweeted a couple of days later to clarify that he has no news on season 7 (Source). In March he added: "Everybody who works on SPN is ready & willing to do a 7th season. We just don't know yet. Waiting on the CW to decide." At the Paleyfest in March 2011, Sera Gamble hinted that they were thinking of a seventh season when they wrote the finale for season 6. Without revealing anything [she said: "The theme is always ‘Sam and Dean are screwed," Gamble smiled. "That’s always the theme as a whole. That's what keeps it fun, right?" "Next year may have the boys being Butch and Sundance, or the Wild Bunch. Basically, it’d be telling a story of the last of the cowboys, gone modern. That’s just a jumping-off point. Whether we actually do that or how that realizes itself… we haven’t gotten that far yet. But there’s an idea of, 'The world is closing in around you.'" It seemed likely that fans may have to wait until May 19th at the Network Upfronts, on the eve of the season finale, for an announcement. However on April 26th, the CW announced that Supernatural would return for a seventh season. The network acknowledged the contribution the show had made to Friday night ratings, dramatically contributed to year-to-year gains on Friday of 66% in adults 18-34 and 60% in viewers. It is expected that Supernatural will remain on Friday nights, possibly moving to the earlier 8 pm slot vacated by Smallville (Source). Fans around the world celebrated online at the news. In season seven, the Winchesters will find themselves in an increasingly sinister, changing landscape, up against a new foe unlike anything they've ever fought. They'll find their old tricks, weapons and hiding places all rendered useless. All they'll have is each other. And the certainty that, like the last of the cowboy outlaws, whatever they face, they're not going down without a fight. Following the season finale on May 20th, Sera Gamble announced in an interview that Misha Collins would return in season 7, but not as a series regular. She also confirmed that Eric Kripke and Ben Edlund continue to work on the show, despite them not appearing on the Upfronts press release. Filming for season 7 will commence on July 6th and Jensen will again direct the first episode to be shot, although it will air probably 2nd or 3rd in the season. June 14: Sera says that there may be more meta episodes to come (Source). June 20: The CW announces Supernatural will return Friday September 23rd at 9 pm. It will air after Nikita which has moved to Fridays to replace Smallville (Source). Season seven will shoot in Vancouver from July 06/11 – April 05/12. Season 7 Promo #1 (The music in the promo is "Drive Fast, Take Chances" by Acid King). Pages in category "Season 7"
Media in category "Season 7"
This page was last edited on 1 March 2019, at 06:01.